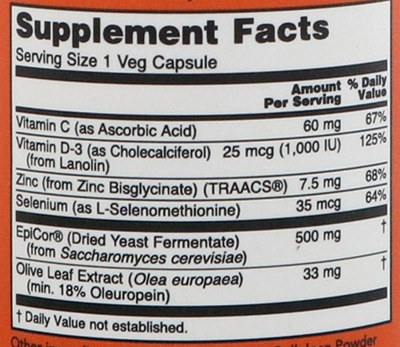 EpiCor is an innovative ingredient that is derived through a proprietary process from Saccharomyces cerevisiae, a common single cell microorganism. EpiCor has been shown in scientific studies to support the body's ability to initiate the proper immune response at the appropriate time, thereby helping to maintain normal immune system balance. 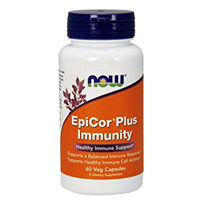 NOW EpiCor Plus Immunity contains Zinc, Selenium, and Vitamins D-3 and C to offer additional support for the body's healthy immune response.